One of the exciting things about a brand journey is that it can unfold in new and interesting ways. 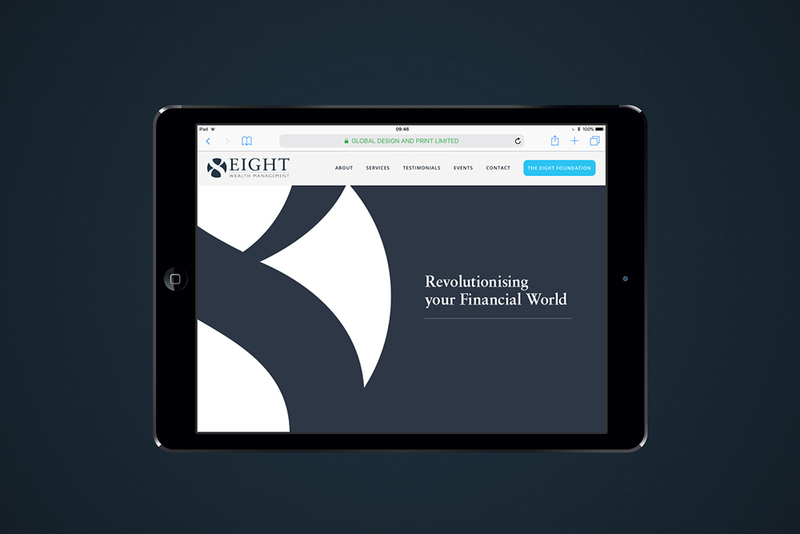 Eight Wealth Management specialise in providing high quality personal financial advice on many aspects of wealth management. 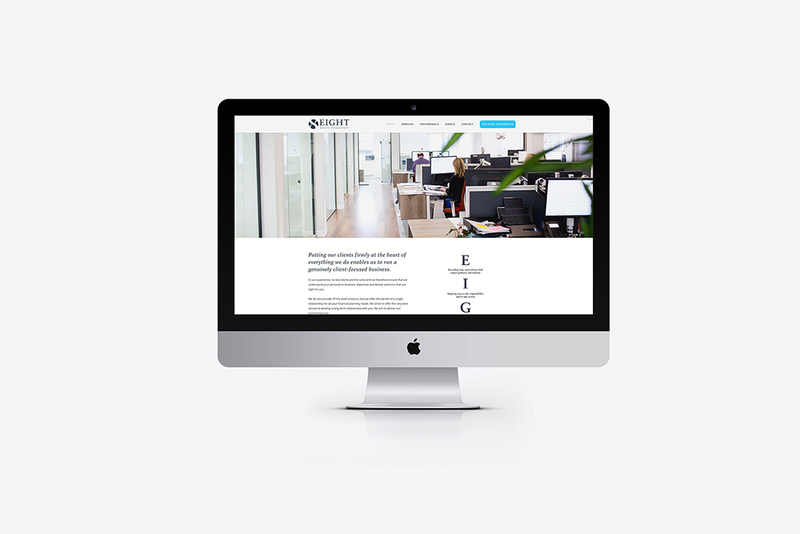 Realising that their brand needed to be updated to reflect their progression as a business, Global were entrusted with a brand refresh and relished the challenge of bringing clarity and confidence to their identity. 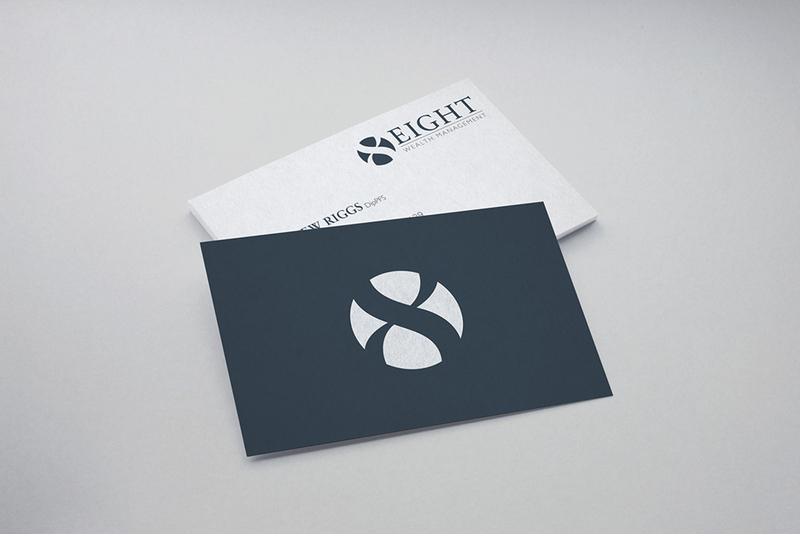 The core issue that Eight Wealth wanted to address was that their previous logo was not effectively communicating the name of the business. Feedback found that the numerical ‘8’ wasn’t clearly seen as part of the logo and so most people would only notice ‘Wealth Management’. The key approach was to address this and design something both clear but aesthetically engaging to potential clients. It was imperative to delve into the DNA of Eight Wealth Management and represent their personality. The journey of evolution begins. The approach that Global took was to create a brand new wordmark, or typographic treatment that represented the company. The numerical ‘8’ was retained but reworked into an icon that could be understood and used both individually and together with the wordmark. A typeface was selected which was both contemporary but classic. This combination was chosen as the perfect fit with the Eight Wealth’s long-standing experience and expertise, whilst also reflecting their desire to evolve. This is also demonstrated within the chosen colour palette. 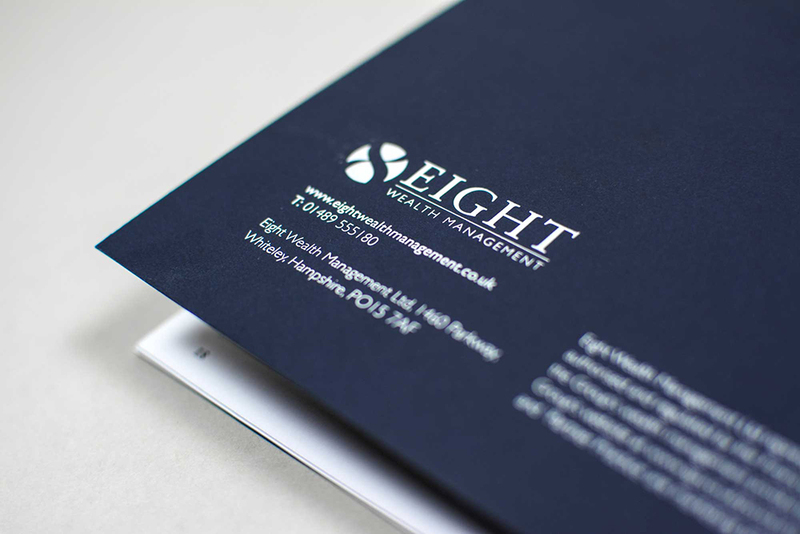 The dark blue tones are representative of a sophisticated and grown-up brand, who are approachable and professional, in-keeping with Eight Wealth’s personality and tone of voice. 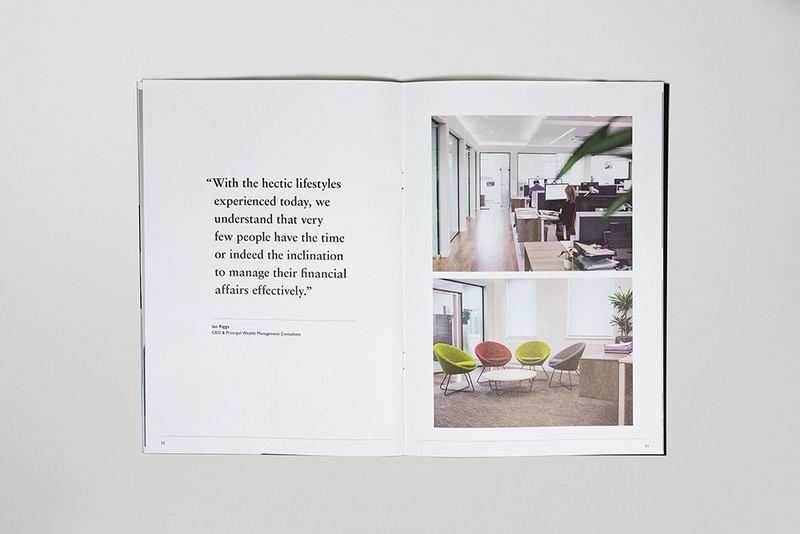 Candid photography of both the Eight Wealth team and their contemporary offices has helped to further illustrate the brand personality across all print and digital collateral including brochures and their relaunched website. 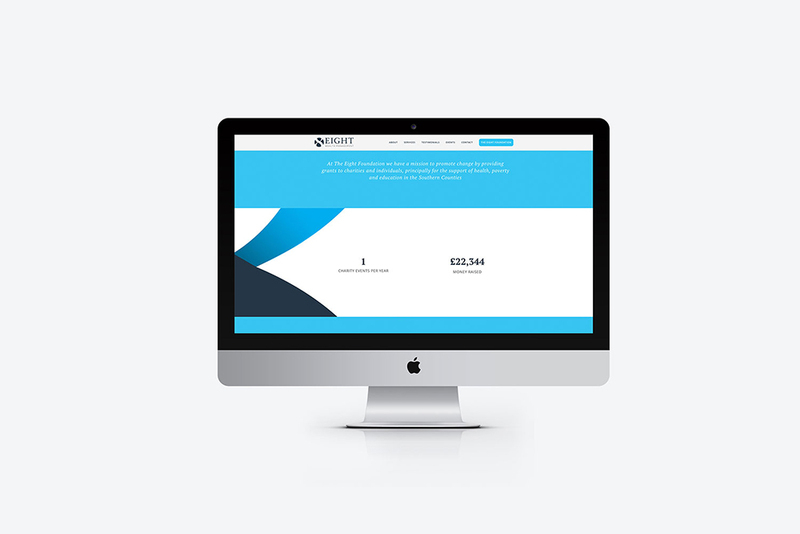 The Global team were delighted to work with Eight Wealth in developing their new identity and hope that it marks an exciting new chapter for this professional and forward-thinking business.